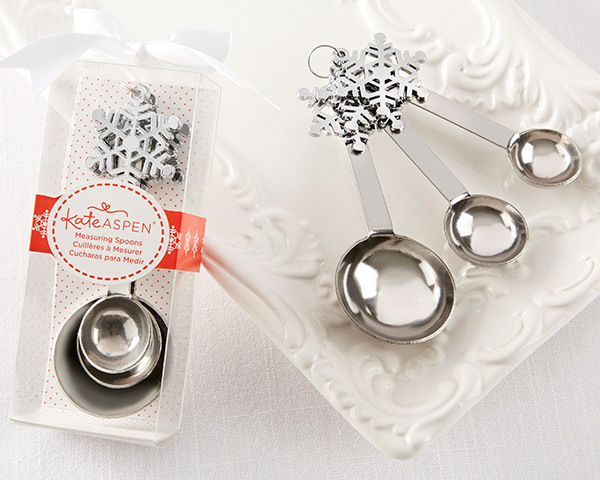 You'll be excited to give out these fantastic snowflake themed measuring spoon set favors! Perfect for a winter themed bridal or baby shower! Sample price of $2.35 is significantly below our cost and is limited to one per order and cannot be purchased with additional quantities of this item. Limit of 1 sample, in total. per order. Please allow up to 5 business days to fulfill your order; add ship time from GA.